With two teenagers who will soon be out of school, there has been much reflection and soul searching taking place in my home over the last few years as to whether or not we’ve made the right decisions as parents overthe years. Rebecca, our neurotypical teenager, has just started driving and is becoming more independent. In hindsight, there is not much I would do differently if we had to start raising her all over again.My thoughts concerning Jeremy, our 19-year-old son with autism, are somewhat different. 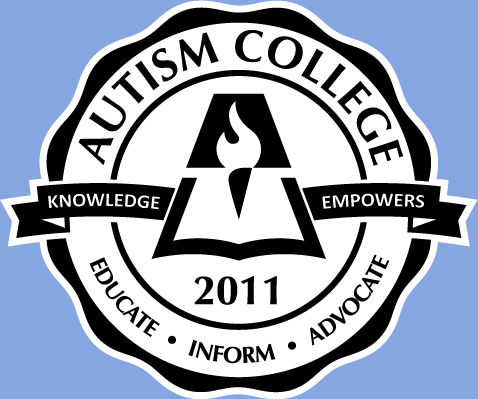 Those who have seen him on the MTV True Life segment “I Have Autism” will remember his can-do spirit and his determination to connect with other people, but also how challenged he is by his autism. Obviously, there are many more options available to help people like Jeremy today than when he was a baby. Over the last few years, as we considered how to best prepare Jeremy for the adult life he envisioned, I wondered what we could have or should have done differently when he was younger. This led me to think: What would today’s adults on the autism spectrum point to as the most important factors in their lives while they were growing up? What has made the most impact on their lives as adults in terms of how they were treated and what they were taught as children? What advice did they have to offer on how we could help the children of today? I decided to find out. I interviewed a wide-range of people – some considered by neurotypical standards as “less able,” “more able” and in-between; some who had been diagnosed as children; and some diagnosed as adults. I hope you enjoy the kernels of insight and wisdom provided by the real experts – those on the spectrum. 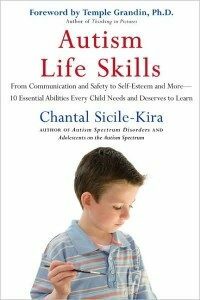 In a single publication, Chantal Sicile-Kira has sensitively combined personal interviews and the extensive literature highlighting personal perspectives into a thoughtful collection of comments that address topics ranging from sensory integration to employment. I would highly recommend this book for anyone who lives, works, or educates someone on the autism spectrum.